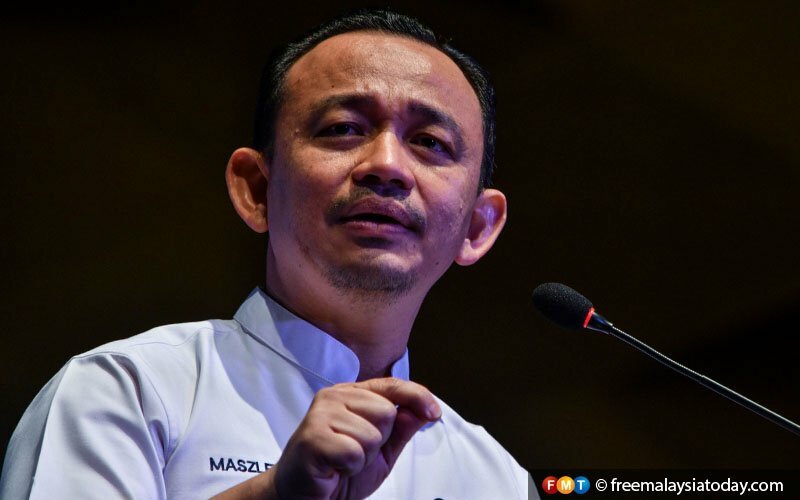 SHAH ALAM: Education Minister Maszlee Malik says the Cabinet has approved a proposal for a single qualifying body for Technical and Vocational Education and Training (TVET) courses. “This is so that every TVET institution will produce graduates who are recognised, instead of them being lumped together in the labour market without recognition from the industry,” he said in his speech at the Rise of the Asian Tiger Convention at UiTM Shah Alam today. He added that the process of integration has begun for vocational colleges, polytechnics, community colleges, and technical universities in the country. Previously, he said, these institutions were separate and played different functions. “Today they are all under one roof, under the education ministry. But what we want is for them to be standardised, so there is alignment and communication between these institutions. He referred to programmes at vocational colleges which are often criticised for being unrecognised or unaccepted. These, he said, would now abide by the standards of the Malaysian Qualifications Agency and the Department of Skills Development under the human resources ministry. This would also enable industry players to connect with the ministry with more ease, which would in turn provide a wider employment market for graduates, he said. He said the ministry would ensure that TVET courses are seen as a primary choice instead of an alternative. On a recent Bank Negara report highlighting low entry-level salaries, he said the issue is being addressed, with changes underway. Besides widening industry participation in education, he said, the ministry will review the courses and tertiary education streams that are presently available. This includes looking into the potential cancellation of certain courses, or the addition of new ones which are more needs-driven or based on current market needs. “What is for certain is that the ministry is committed to ensuring that universities and graduates are capable of preparing the best products in the industry network, to face the obstacles of the fourth industrial revolution,” he said. Maszlee also spoke of an increased collaboration among public universities. “They will collaborate between one public university and another based on their various fields, whereby we have categorised the public universities into clusters,” he said. He said the ministry has set up different clusters to help public universities reinforce their strengths, identities and marketability of their graduates. “We also want to stress the concept of internationalising our universities. “We are confident that we can become leaders in our fields, and in each speciality of these universities,” he said. The categories in question are: Malaysian Focus University, Malaysian Research University, Malaysian Comprehensive University, Malaysian Technical University and Malaysian Islamic University. On the matter of the zero-reject policy in schools, Maszlee said schools had received 83,039 disabled students since the policy was implemented earlier this year. For undocumented children, 2,635 students have registered with schools so far. Wonder what took the Ministry so long. So now “Integration has begun for vocational colleges, polytechnics, community colleges, and technical universities” – no details given on the integration. And what about the ILP, IKBN, IKTBN and other Pusat Bertauliah JPK, especially the private ones?